This bundle from the Apple Store would cost you £38! The product is like-for-like, exactly as you would purchase from the Apple Store - just minus the box and most of the cost! Has your iPhone 4S stopped charging? Maybe your iPad is behaving in a similar way? It could be time for a new Genuine Apple replacement from us! Apple Store Price - £38! 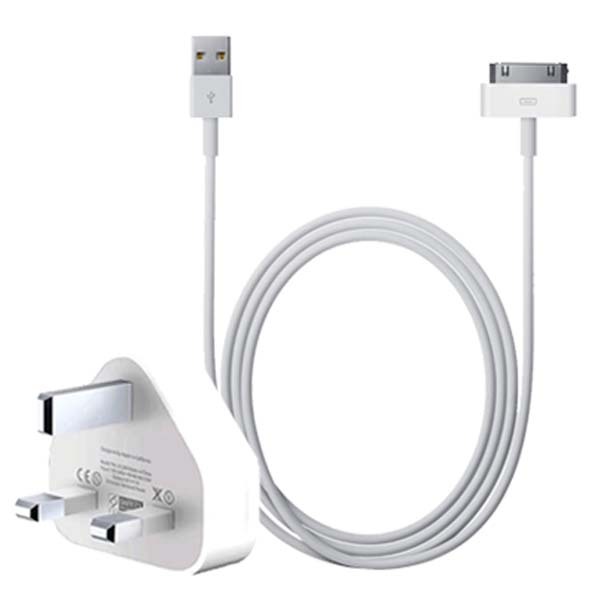 This Genuine Apple 30-pin charger bundle comes complete with an Apple 5W UK plug coupled with the Apple 30-pin charging cable offers fast, efficient charging at home, in the office or on the go. You would have to buy these two items separately from Apple at a retail cost of £19 per item. From us, cable and plug, both genuine, both from Apple and both from the same factories costs a mere £9.99 and saves you almost £30! Q. Can I use this to charge an iPod Nano? A. This can be used to charge some iPod Nanos but not all. 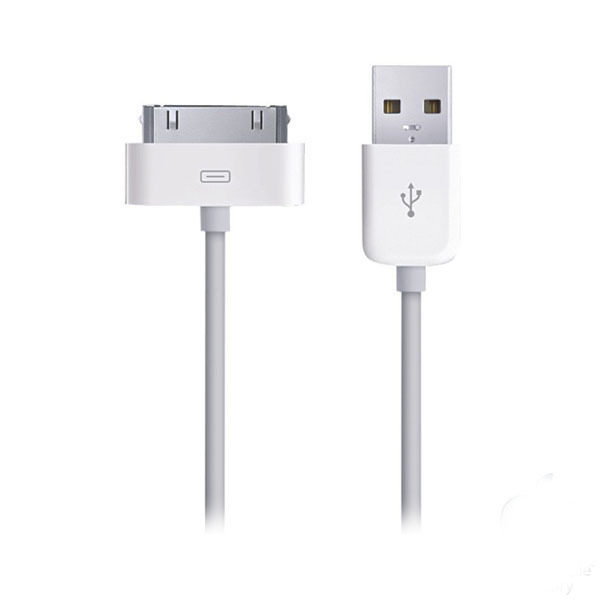 The 30-pin cable is designed for the older generation iPods I.E iPod Nano 7 uses Apple Lightning connector and will not work with this cable. Q. Can I transfer data with the 30-pin cable? A. Yes, the cable is for both charging and data syncing. Q. Will this charge my iPad 2? A. 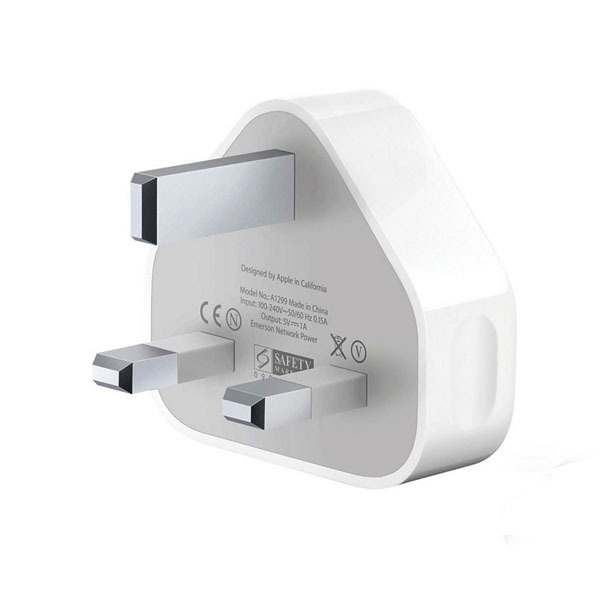 It will fit an iPad and iPad 2m, however, the plug's output is only 5W so will take a long time to charge. A 10W plug adapter is needed. Q. Will the plug work with USB to a MicroUSB device? A. Yes it will, just make sure your USB lead is in good working order before use. Very happy with my purchase. Great price! had my charger that i bought from digital save for a few weeks now, it is still working great, it does both my ipod and my ipad. After reading the reviews on this site, I decided to bite the bullet and buy myself a new charger. I am very glad that I did, as it is definitely the Apple original charger and I can report that all works well. Very very happy with my charger. Apple wanted nearly £40 for the same thing. Which as i own an i pod touch 4, the Ipod isnt even worth this much, saved me a lot of hassle and money, you have earned yourself a new customer. Couldn't be happier with the delivery, so fast.